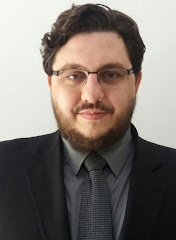 Today I came across an interesting article by Mr. Frederico Zenedin, which sumarizes the Electronic Contracts regulation in Brazil. The original article can be seen here (in Portuguese). This can be achieved via public certificates (see below) or using the old system of scanning signatures. Basically, there is no legal regulation covering electronic contracts specifically. Although, there are fair comprehensive rules covering the electronic signature of those agreements. In this sense, Brazil has a established Public Key Infrastructure system that allows the use of digital ceritificates with public value. The certificates are already being used by the Federal Revenue Service and by federal and state courts. Moreover, the use of other ways of identification, such as PIN numbers and passwords, is currently widely used by Brazilian banks and major electronic commerce websites. In view of that, make sure the final proposal has come from your side if you do not want Brazilian law to be applicable to the contract. (The only way around that is to opt for arbitration). 3- Make sure you keep the original electronic file. That is, the original email message (as an electronic file) or electronic signature. A printing of the message is considered a copy, and thus cannot be presented in court as the original proof of the agreement. 4 - Try to obtain a hard copy as soon as possible, in order to avoid problems.